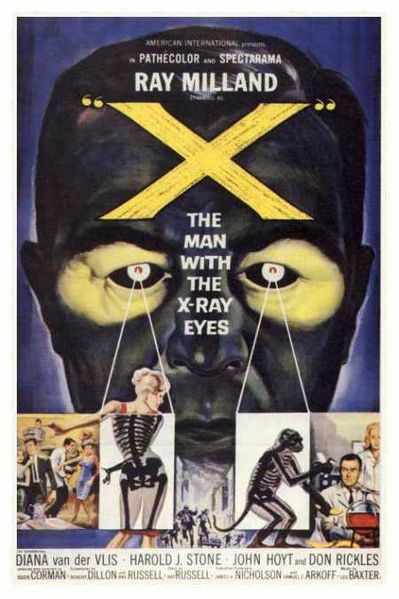 A doctor (Ray Milland) develops a serum which gives him x-ray vision, but soon finds that his new power causes him more trouble than glory. Peary refers to this “philosophical sci-fi film, directed by Roger Corman for AIP”, as “competent”, arguing that the “story is predictable but Milland makes a good lead — a man who’s not entirely sympathetic”, and accurately noting that the “final few seconds are powerful”. I actually disagree that it’s merely “competent”, however, given that Robert Dillon and Ray Russell’s smart script effectively exploits the clever concept of what might happen to a person blessed (or cursed) with x-ray vision. The timbre of their screenplay shifts from the giddy delight experienced by Milland as he engages in pleasant voyeurism at a party, to the ethical dilemma he faces when he knows without a doubt that his medical colleague’s diagnosis of a patient is wrong, to the (perhaps) inevitable downward spiral of a man who has so clearly become a “freak” of nature (albeit a self-created one) — and by the end, it manages to argue that a man who can see “everything” may have access to universal secrets best left untapped. With that said, in many ways the film is typically low-budget Roger Corman fare — though it should be noted that his budget and the production values are clearly higher than what he was working with for his more outrageously campy earlier sci-fi outings in the ’50s. 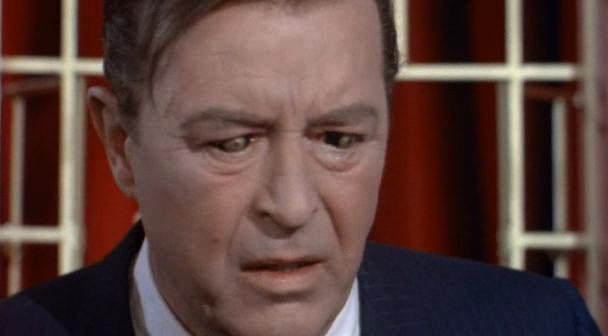 The special effects are occasionally laughably cheap (i.e., when Milland sees through flesh to drawings of people’s innards), but at other times are remarkably chilling — most notably the final physical transformations that take place in Milland’s eyes. And while there’s a smattering of awkwardly handled dramatic moments (c.f. 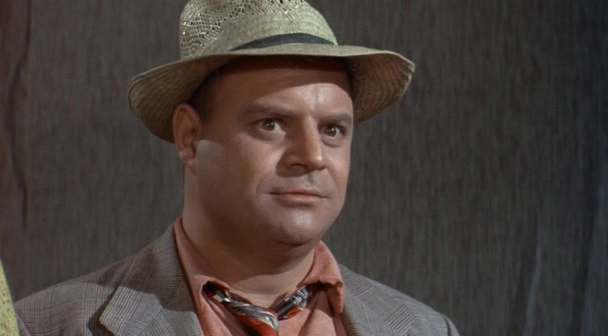 the pivotal “murder” scene that drives Milland underground, or Milland’s tentative flirtations with his colleague, Diana van der Vlis), other scenes hit surprisingly hard — such as Milland’s interactions with Don Rickles as a manipulative carnival manager who recognizes Milland as a lucrative cash cow. Note: Milland gives a believably tortured performance here as the fatally obsessed title character, perhaps his best since his Oscar-winning role in The Lost Weekend (1945) nearly 20 years earlier. Yes, as a cult classic by Corman. On a revisit, this holds up rather well – and I’m in agreement with the assessment, so there’s little to add. The script is indeed smart. The first half follows a more altruistic path – and one later wonders what kind of drama could have capitalized on that root. However, the melodramatic turn midway does stamp this as a Corman flick. And one of his classiest. If you can overlook some of the slightly cheesy interiors, the film is shot surprisingly well – with some particularly nice location work. It’s true that, here, Milland has one of his best roles since’ The Lost Weekend’ – and, though he might not be “entirely sympathetic”, I was certainly on his side a lot more than while watching ‘TLW’. In a film of this sort, something must still go awry, even when the ‘mad scientist’ comes naturally equipped with good intentions. In spite of what Milland finds himself forced into eventually, he never completely loses ‘sight’ of his better nature (as the film’s conclusion lets us know). Best budget-saving shot: Milland crashes his car. Rather than show the crash, Corman flashes a cracked mirror on-screen for a few seconds. Well done.